Our Aikido is Traditional Aikido At the West Midlands Aikido Association , or what has become known as Iwama Style or Takemusu Aikido. What ever you wish to call it the Aikido we train was originated in small village in Japan called Iwama by the founder of Aikido O- Sensei. West Midlands Aikido Association has a strong relationship with aikido tradition, the basic principles and philosophy. Most Aikido practitioners (aikidoka) who have heard about Iwama style aikido (now called takemusu aikido) know that this special style, or form, of aikido emphasizes the strong use of weapons (Buki) as well as the practice of unarmed techniques (taijutsu). The weapons used in our way of practice are the bokken (wooden sword), Jo (staff) and tanto (knife). O O’Sensei used to say “taijustsu jo ken , bukiwaza onaji desu” meaning, the use of unarmed techniques, sword techniques and staff techniques are the same thing and this can be seen through daily practice with these weapons. Other Aikido styles are aware of these weapons but use them as an extra or incorporate other Japanese weapons styles into the art or use them very little in training. Iwama style uses the weapons as O Sensei taught them in a Aiki way which uses strong emphasization on hips, posture, movement and Ki/Kokyu training which lays side by side to empty handed techniques. O Sensei’s most loyal student Morihiro Saito Sensei 9th Dan (1928-2002) an original student of O-Sensei who trained with O-Sensei every day for a unbroken time of over 24 years in his dojo in Iwama. Was the only one to receive, as a legacy, a deep understanding of Aiki ken and Aiki Jo. Morihiro Saito Sensei handed down to us faithfully and accurately. To better understand why Iwama/Takemusu Aikido differs from other styles practiced all over the world, we should consider that Aikido did not begin its international diffusion until after the end of World War II. The art as it is mostly practiced today derives more from the interpretations of leading teachers and other disciples of Doshu rather than from the Aikido of the Founder himself. Beginning from the 1950s these well-known instructors introduced their own modifications to the art. 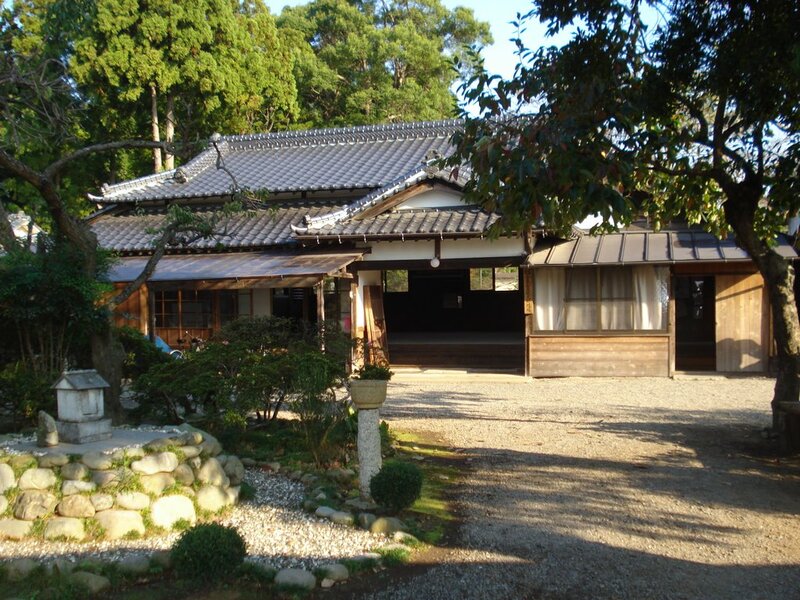 The reason for this can be explained by the events relating to World War II, the Founder’s long period of seclusion in Iwama and his son’s increasing participation and responsibility in the organizational and administrative activities of Aikikai Headquarters in Tokyo (Hombu Dojo). Almost all the senior disciples had to abandon their training in Iwama – many during the War, others immediately after it. In those days life in Iwama was really severe. The widespread poverty and lack of food compelled people to work hard to get a living, so people found it hard to travel to Iwama. During that difficult period Saito Sensei always stood by the Founder, serving him even in the most humble works. Even if it was a very hard life, Saito Sensei had the great opportunity to spend more time close to the Founder than any other person (24 years), either before or after the War. O-Sensei trusted his devoted student deeply and taught him everything – theoretically and practically. Saito Sensei never dared to interpret or change what he had received from the Founder; he just confined himself to memorize, study and help his Sensei. 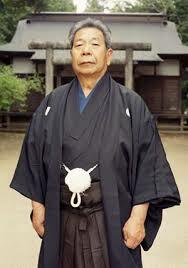 Morihiro Saito Sensei spent all his life preserving the original Aikido of O-Sensei. 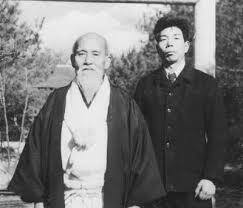 Before the death of the aikido founder in 1969 he gave Morihiro Saito the title caretaker of the Aiki Shrine and chief instructor at the Iwama Dojo which he remained so for more than thirty years till his death in May 2002. Saito Sensei’s training approach was unique from that of other leading instructors in that it emphasizes the same importance of Taijutsu (empty-handed techniques) and buki waza (weapons techniques) in a cataloged manner following a set syllabus pattern of movements, techniques and important factors for studying Aikido to create a punctual understanding of application of these principles.